Home / exposed / The Best EVP Recorder – Records a Ghosts / Spirits Voice Every time!!! 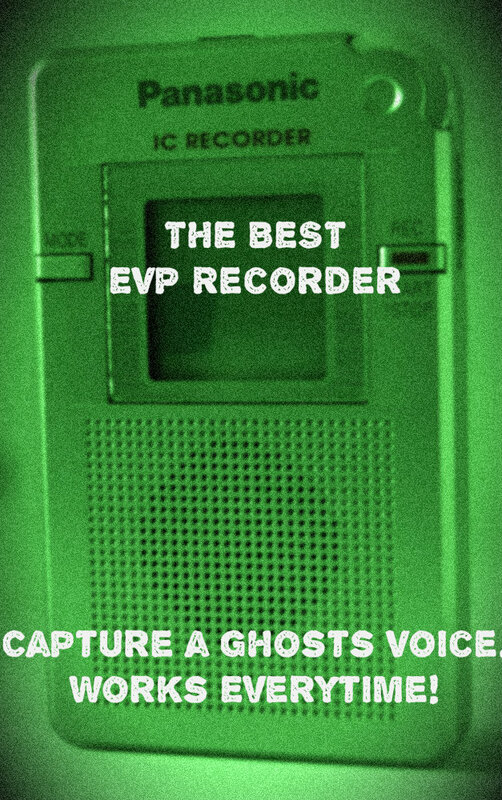 The Best EVP Recorder – Records a Ghosts / Spirits Voice Every time!!! Lets re phrase the title: The Broken EVP Recorder – Which Records its own Inner electronics every time without fail. You will see people with this device called Panasonic RR-DR60. People claim this device is the best, and captures real voices of the other side. When used on every investigation it will pick up on spirits asking for HELP and growling down the mic.. However this isnt the case, the company Panasonic released a statement and recalled the product “DR-60” because people was complaining it was recording “SOUNDS” which shouldn’t be there.. Upon their investigation of the device, they deemed the device not fit for use, and asked everyone to return the device, for a newer model with an improved quality audio. The Quality of the recorder is shockingly bad also. Yet again the well known noise artifacts are brought up to our attention as well as the quality of the recorder. While there is someone talking there will be no evps over your voice but ONLY when you are not talking wait…. Lets dig something else up. Experience is showing that a microphone is only important to introduce additional noise if the noise generated internally by the recorder is not useful for voice formation. A very high quality recorder produces very little internal noise but a low-quality recorder typically produces too much steady-state noise, which is not useful for EVP. Current understanding is that noise in the voice range–400 to 4,000 Hz–with many perturbations, such as small noise spikes, is useful for voice formation. The noise is needed for voice, but the perturbations are apparently useful to initiate the voice formation process. There is a few quotes by the company and some people who investigated the claims. It is well DOCUMENTED that this device creates its own WHITE NOISE. and inner circuit which then people say its a ghost. Now the sick thing is some people are well aware of this.. not all.. but alot..and know that this device is infact faulty and broken.. to con their audience in believing that they have indeed caught spirit communication or to sell to the public making 100s if not 1000s of pounds. SICK. For the fresh people coming into the field they will see these records on “ghost hunts, Paranormal youtube series, and even on TV…” and of course on ebay… SO BE AWARE.. dont be conned.. Do not BUY A BROKEN RECORDER…… and if you see someone use this point out that.. HEY… that was recalled by Panasonic because it records its own electronics.. the chances are.. they will already know that. Next post: Red Ridge X Curiosity Corner – Prayer Wheel.